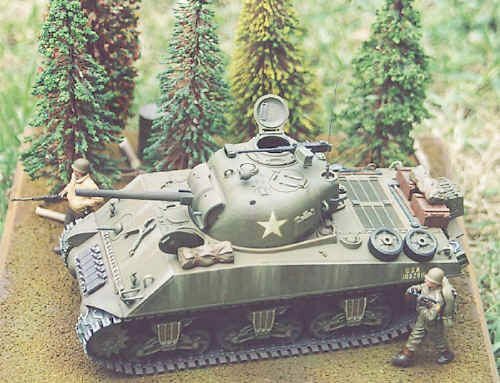 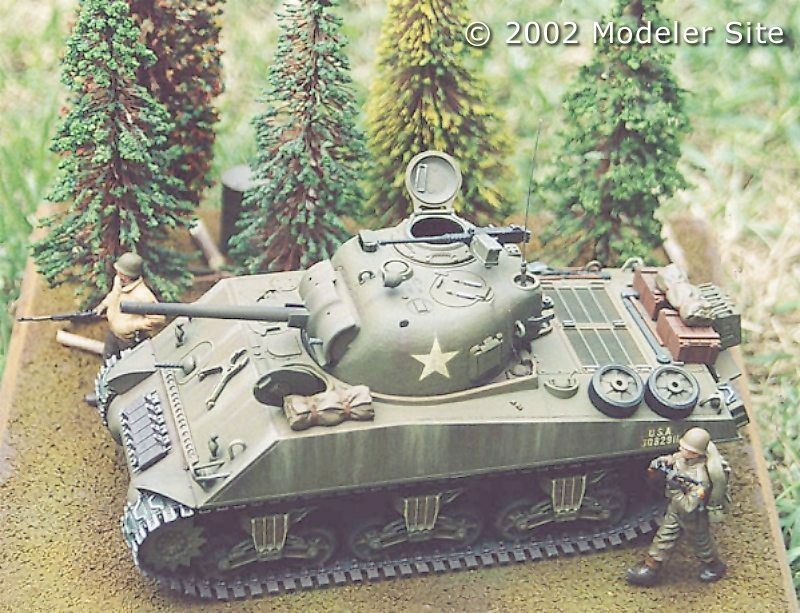 This is a Sherman of the 2nd Armored Division - close to Arnhem 1944, a Tamiya kit. 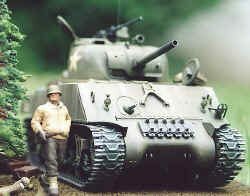 I used the following paints : Model Master Enamels (Olive Drab - Field Drab - Green Drab - Dark Earth - Afrika Braun - Aircraft Interior Black - Gun Metal - Silver), applied with a Paschee Single Action airbrush. 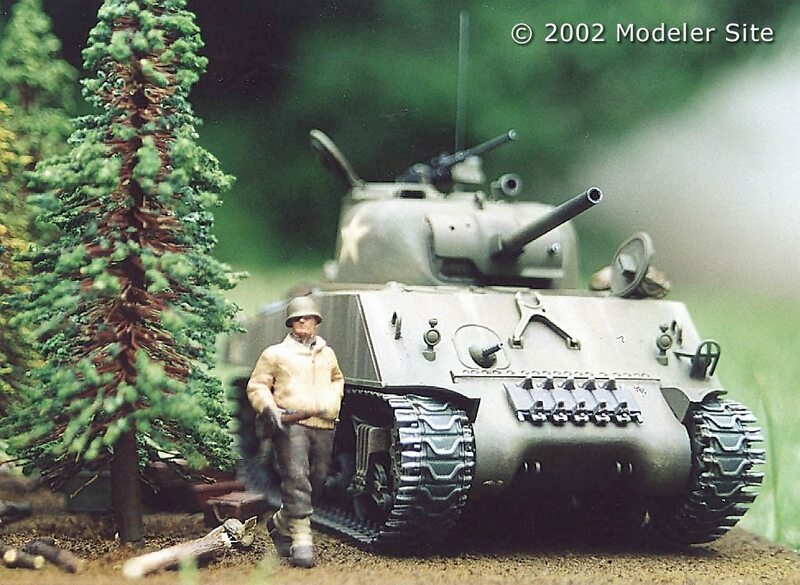 The decals are out of the box and the figures are Tamiya "US Infantry" (with makings of the 2nd Armored Division).